Chuck Spears, in his first world-wide solo release, Unbalanced, aims to bring the conflicting elements of his Id, Ego and Super-Ego into cohesive function. Formerly known as A.B. Do Well of New York underground hip-hop group Sight Beyond Light, Chuck Spears has returned on his own writing and producing tracks ranging from satirical to serious to create a unique sound that reaches listeners on an emotional level. Tracks like A Spear Chucker Now, All Night and Drop It 1 Time represent the Id, his wants and desires, while Bottled Up, Change the Name and A Good One are critiques on controversial issues that weigh heavily in the Super-Ego. Trying to make sense of the world around him and just being a rapper, the Ego is represented by tracks like Off Brand Loyalty, Up Y’all and That Good Money. The tracks are generally about two to four minutes long with punchy and insightful lyrics. Unbalanced is being supported with Chuck Spears distributing physical CDs at the street level and performances at open mics and colleges first in theNew York Tri-State area. 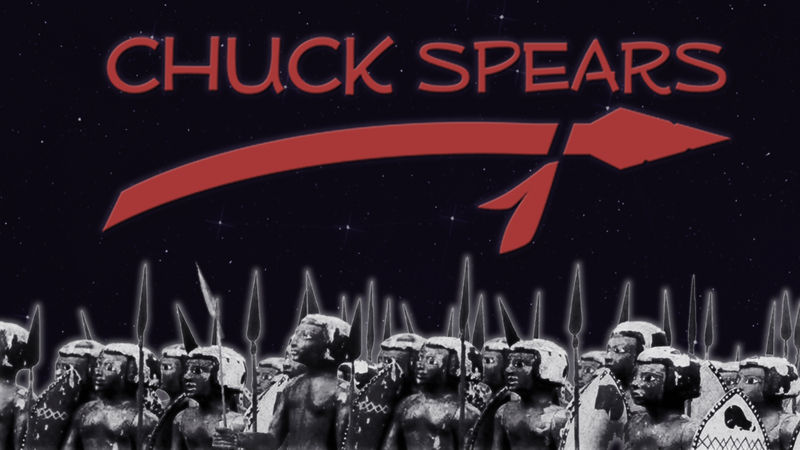 Please get in touch with Baqi at chuckspearsinc@gmail.com for guest list, interviews, or promo copies of Unbalanced.